I was visiting my public library and they had a great idea - a "blind date with a book". The books were wrapped in brown craft paper with a brief description. This is the one I chose. You know what was really funny? I was nervous to open it. It's silly but perhaps, like a blind date, the anticipation built and I didn't want to be let down. I kept off opening it for so long that it became due before I got to read it. 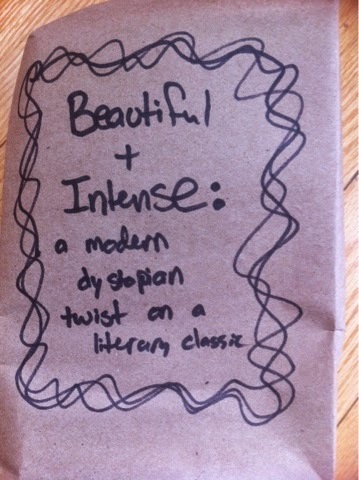 Want to know what book was wrapped inside this "Beautiful & Intense" description? "When She Woke" by Hillary Jordan. Have you read it? What do you think of this "blind date with a book" idea?